Zion has all sorts of year round inhabitants that call this place home. 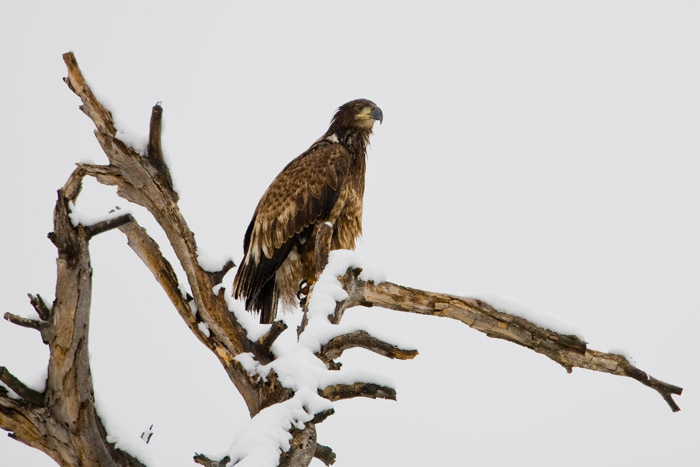 This snow perched Bald Eagle searches the land for a winter feast. Photo © copyright by Lance B. Carter.